Ainsley MacDougall is a fourth year undergraduate student in the Global Resource Systems (GRS) program. She has also served as the student representative for the Faculty of Land and Food Systems (LFS) on the UBC Senate. Between classes, work, and being involved in student government, I am on campus a lot! Generally, I have one to three classes a day. 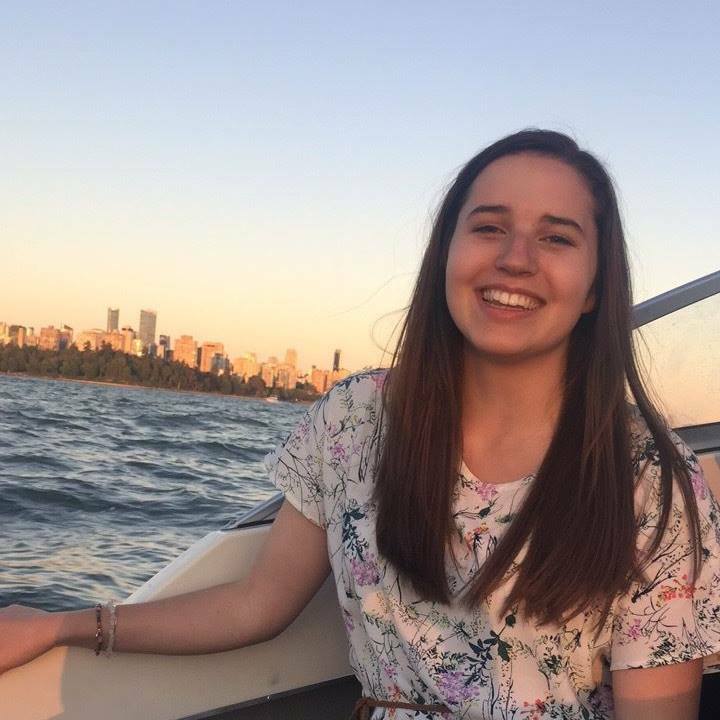 I work as a Senior Student Ambassador, where I help lead and manage a team of over 40 student ambassadors that run UBC campus tours for prospective students. I make sure to make time for the gym at least twice a week. My weekends are usually spent studying in a café in a new part of the city, or hiking around Vancouver. During my term as a student senator, I also had 3-6 meetings a week for the UBC Senate. How much has your university experience changed overtime? I started my first year at a different university in Ontario, but had trouble fitting in and wanted more from my program. I was fortunate that my friends at UBC introduced me to the Global Resource Systems program, which upon further research sounded right up my alley – a degree that I could design myself around issues I am passionate about! How have your extracurricular activities contributed to your university experience? University, to me, has never just been about the academics. That is always my primary focus, but so much of the work, volunteering, and adventuring I do outside of that helps me along my path to a career where I can make a difference. My classes are where I gain invaluable knowledge and connections to professors and faculty, but it is my extracurricular activities that have given me all the leadership and organizational skills I take into all aspects of my life. What would you want a student applying to LFS to know about our Faculty? Overall, I can't express enough how fantastic LFS has been in supporting my transition from a different faculty and university. The members of this community, including the professors, staff, and my fellow students, have helped me so much in pursuing my passions. The attitude on campus is very positive and supportive of students, and it is a place I feel at home and where I can thrive.